The photo id for this photograph is 577, in the Kettleshulme album. I knew the families in the cottages back in the 50's. The one on the left was home to the Warringtons whose son, Derek, was a drummer in Derrick and the Falcons. Can't remember the name of the family in the other one though. Lovely places. Sally, does the name Hutton ring a bell, Pat and Jeffrey. No. I remember a daughter and might have had a sleepover because I can remember having to go through one bedroom to the other. That would be very early 60s before I left the village. I was in that cottage when I first heard Only the Lonely by Roy Orbison!! Sally, the only other family that was there that I recall were called Webber, Susan being the youngest. Alan, that's the family! What happened to them? 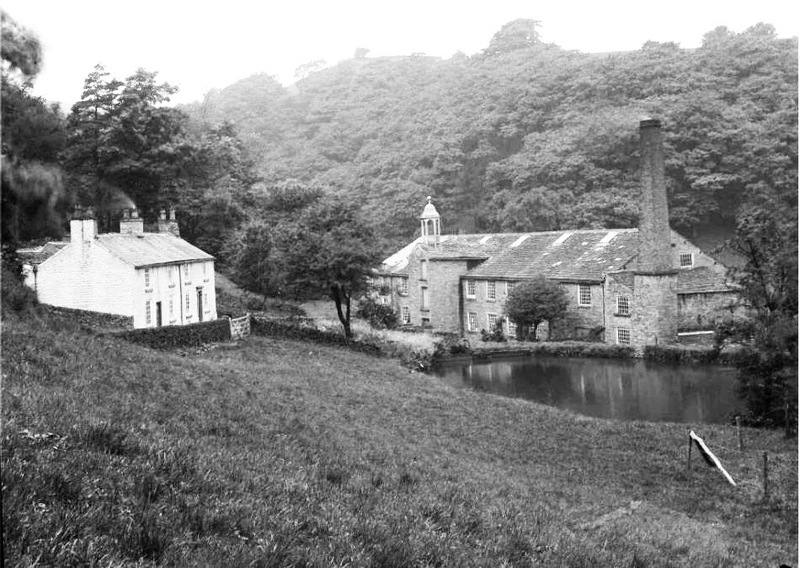 Sally, The Webber family all left Lumb Hole and went their separate ways.